Facebook advertising is the cornerstone of many social media strategies. With over 1.5 billion monthly active users, Facebook offers marketers previously unheard of reach. It isn’t just the reach that makes Facebook advertising so powerful, it is the ability to reach exactly the people you want. Your target market. For less money than you would guess, you can begin advertising your business on Facebook. In this post we will discuss the basics of Facebook advertising, a step-by-step walk through Facebook ad setup and distribution and some tips to improve the effectiveness of your Facebook ads. Facebook advertising gives businesses of all sizes access to the most sophisticated and largest advertising platform in the world. It is available to anyone that has a business page and at least $5 to put towards a Facebook advertisement. If this sounds like you, keep reading. In order to advertise on Facebook you must first create a Facebook Business page. If you have a personal Facebook account, you can log in and create a page from there. It is important to choose the type of business page that best reflects your business. Each page is tailored slightly differently based on needs, so choose wisely. Why are you advertising on Facebook? Think about it for a second. Regardless what your reasons are, it is important to distinguish some before moving forward. Without a firm understanding of the why, it will be hard to decide the how (as you will see in step 3). Now it is time to start setting up your Facebook ad. Make sure you know exactly what goal you hope to accomplish with your Facebook ads before starting this step. If you know, it is now time to decide which objective (see below) will allow you to reach this goal. If your goal is to send traffic to your recent blog post, you would want to choose the Send People To Your Website option. Have a post that is performing well on your wall? Use the Boost Your Posts option to keep the momentum going. Bottom line, experiment with these different options to figure out which one will help you reach your goals most effectively. This step is crucial and should not be rushed through. With access to over 1.5 billion people worldwide, you will have to narrow down your target audience quite a bit for the best results. We highly recommend that you narrow your audience as much as possible. You will have several different ways to narrow your target audience, including their geographical location, language, interests, behavior, job title, etc. As you begin to add different targeting criteria, keep an eye on the Audience Definition area, Facebook’s very handy tool that shows how broad or specific your audience is. A great place to start is with your competitors. Enter their name in to the Interest section to learn more about their audience. Chances are their audience is very similar to yours, so this can greatly decrease the time and money you would have to spend to identify it yourself. Also consider analyzing the audiences of popular websites and/or individuals in your niche. You also have the option to create a Custom Audience. This allows you to target or exclude specific individuals from your ads. For example, if you have a blog subscriber list, you may choose to upload it as a Custom Audience. You could then target these individuals with ads. On the other hand, if you have a list of current, paying customers, you will want to exclude them from future promotional posts. Tip: Keep an eye on Facebook advertisements that you see when browsing your personal Facebook account. Especially analyze the type of ads your competitors are using. 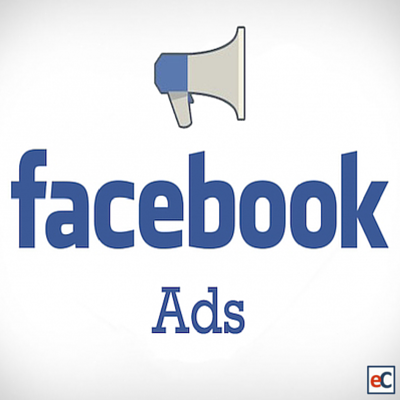 A feature most people are unaware of is the ability to see why you are seeing a Facebook ads. Click in the upper right hand corner of the Facebook ad and then click on Why Am I Seeing This?. Step five is all about the money. At this point you have chosen your ad objective and have narrowed your target audience. Now it is time to tell Facebook how much money you are willing to spend and how quickly. Don’t get scared, it is easier than it sounds. The first thing you will want to decide is if you want to set your budget by daily spend or lifetime spend. There is not a right or wrong choice when it comes to these two options, so experiment with both. Daily Spend: This tells Facebook how much money you are willing to spend each day. The downside to daily spend is that you can end up spending way more than you wanted to if you are not careful. Lifetime Spend: This tells Facebook how much money you are willing to spend during the lifetime of the ad. This type of ad is great for longer campaigns, because it ensures that you do not over spend, while allowing you to easily allocate what you do want to spend. We typically use a daily budget for smaller promotions like a new blog post or a sale. If we are creating a long-term campaign, one that will run for several weeks or months, then we will choose a lifetime budget. This gives our ad spend a little more flexibility, while also ensuring we do not spend too much money accidently. -Start Small: No matter how many blog posts you read about Facebook advertising strategies, it will still take trial and error to optimize your ads for the specific audience you hope to attract and ultimately convert. Start with small budgets and make sure you know what you are doing before deciding to invest larger amounts of capital. -Clicks vs Impressions: Facebook allows you to decide how you get charged for Facebook ads. It is important to experiment with these two options during your “start small” stage. We typically bid on a cost per click (CPC) basis, but for awareness campaigns impressions may be a better choice. Tip: You will want to change out your ad images periodically to avoid ad fatigue. This is when someone sees the same ad too many times and starts ignoring it all together. A general rule of thumb is to change up your ad images and/or text every week. You may assume that advertising everywhere is the best idea. Afterall, the more the merrier right? Wrong. Though choosing all of the placement options is effective in some scenarios, typically you will want to focus on a few options. The cost associated with each placement is slightly different, desktop placement costing more than mobile, so be sure you are choosing the right placement for your business. Tip: Use a tool like Google Analytics to analyze your website traffic. Keep an eye on where your traffic is coming from. Pay close attention to whether it is desktop or mobile traffic. Place your ads accordingly. Please do not skip this step. There is nothing worse than an ad with typos or that isn’t optimized for each placement option. We highly recommend that you have someone else quickly look over your ad to make sure there are no mistakes. Thousands, if not millions, of people will see this ad, so make sure to take a few minutes to make sure it is exactly how you want it. You did it! You have successfully created a Facebook advertisement. However, now isn’t the time to stop. This is only the beginning. As you can see above, Facebook offers two options: Create Similar Ad or Continue. If you do not want to create any additional ads within this ad set, you can press Continue. However, if you want to create another ad that will target the same audience you can quickly do so by clicking Create Similar Ad. We highly recommend A/B testing your Facebook ad images and text, so this gives you a simple way to do so. Test different wording and visuals to see what works. The best part? Facebook will automatically adjust your budget to ensure the best performing ad continues to be seen. Creating your Facebook ad is only half of the battle. Once it goes live there is still a lot of work to be done. In the coming days, weeks and even months, you should consistently check in to see how your ads are performing. Facebook provides analytics for free, therefore this step will not cost you any money. Facebook advertising leveled the playing field for businesses worldwide. When used effectively, the results can be unbelievable. Now that you know how to set them up, it is time to start experimenting with your own Facebook ads. Want more content like this delivered directly to your inbox? If so, subscribe to our blog below!